"Join us on Monday, May 23 for the first Full Moon Jam of the season at Foster Beach at 7:30pm! 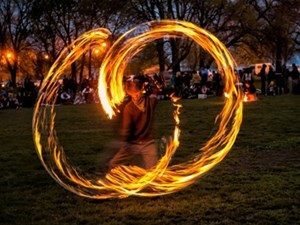 Monthly professional fire performances celebrating the full moon featuring fire dancing and drumming. It's free!"